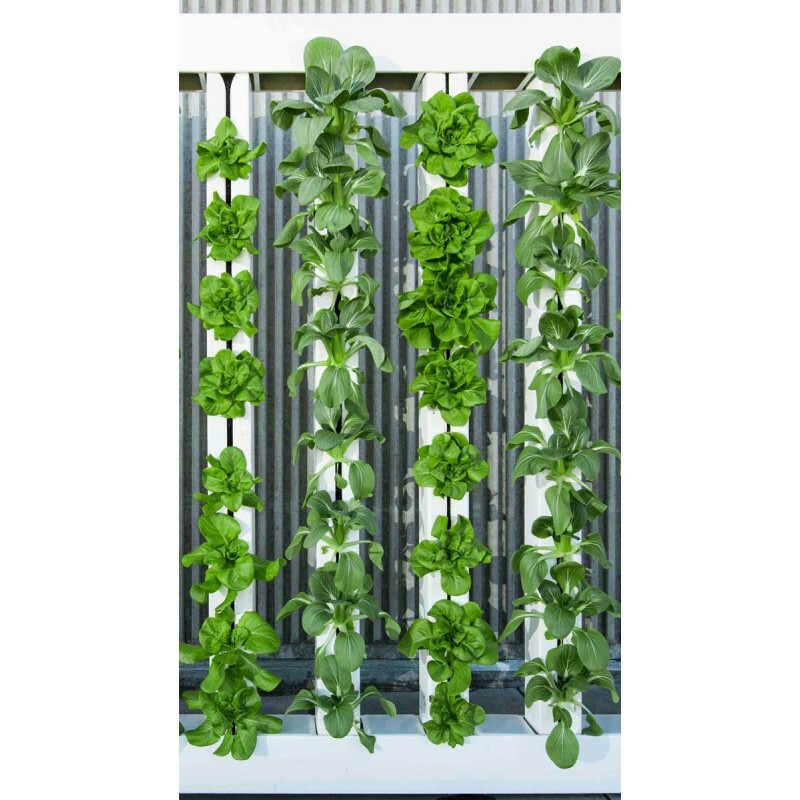 4 ZipGrow tower hydroponic Farm Wall system for vertical farming (towers included). To be mounted on a wall. 110 cm wide x 170 cm high - 67" x 43"
Green is the new grey ! Transform any boring wall into a vertical oasis! This Farm Wall system is a pure ZipGrow product: smart design for low maintenance and high yields. Our Farm Wall is made of up of two rectangular gutters (high quality virgin rigid PVC) that hold the ZipGrow towers in place. The lower one is also the water tank and holds the pump. The upper one houses the irrigation line. It has windows so you can easily monitor and access the drippers. 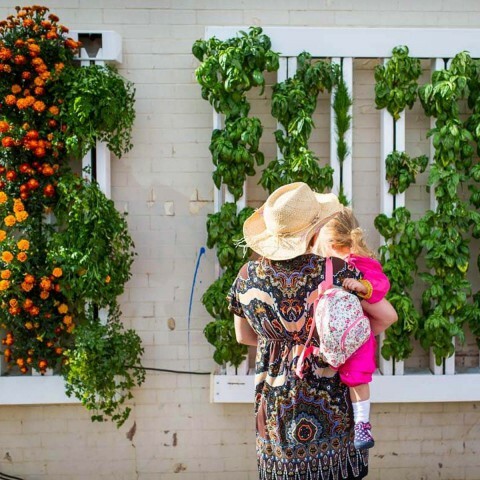 The towers can be easily taken in and out of the wall for planting, harvest or live sales. Isn’t it beautiful ? The Farm Wall circulates the water, so you do not need to plug it to the water system. Top and bottom gutters (110 cm or 43" length), made of virgin rigid PVC. Plant health: you’re free to install your farm wall anywhere, outdoors or indoors, but keep in mind your plants will need enough light to grow! People safety: wear gloves when assembling the Farm Wall and planting ZipGrow towers to avoid scrapes or blisters! Glue end caps to the bottom gutter. Check they’re tightly sealed before you fill the gutter with water ! Pierce holes in the top irrigation line and plug the drippers in. Add the end cap. Zipties the top irrigation line to the top gutter. Connect side & top irrigation lines with the L-shape connector. Install the L-shape metal brackets to the wall. You might need screws and wall plugs, which are not included as they depend on your wall (plaster, concrete, wood…). Bolt the brackets to the top gutter. Connect the side irrigation line to the pump, using the connection tube and the 2 metal zipties. The bottom gutter may be placed on the floor, onto to a piece of furniture or on brackets (not included). In any case, make sure it can hold the weight as a fully grown Farm Wall can be quite heavy (up to 30 kg / 70 lbs or even more) !